We spent the night in the relative safety from a storm off the coast of the island of Zhokov and yet the Somov still rocked from side to side all night, moving like a pendulum. 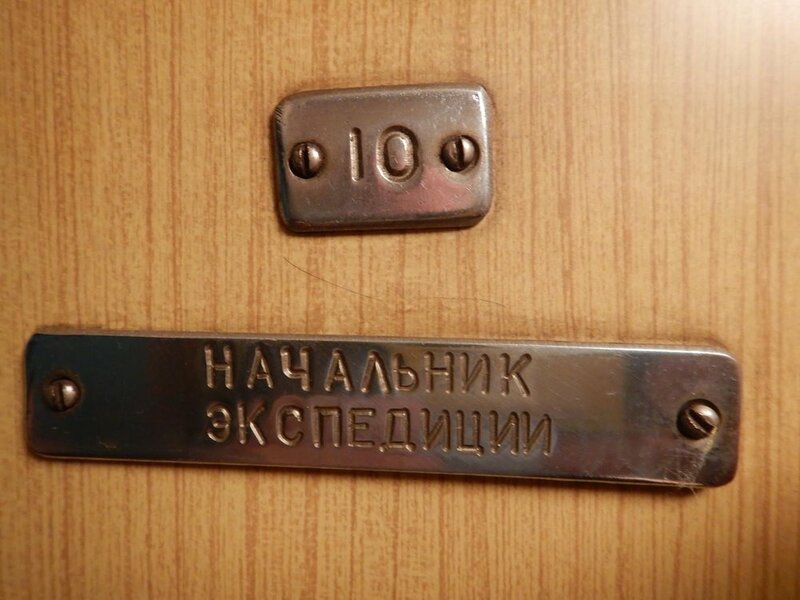 My Room 10: I am told it means 'Expedition Leader' in Russian! Ha! Thankfully, like yesterday, we took advantage of a break in the storm to land on Zhokov. We went to explore the weather station there which had clearly been abandoned, and it seemed as if in a hurry. The houses still had mattresses (although torn apart by young polar cubs) with cups and coffee grinds strewn about the floor, and jackets still hanging on the hooks. Zarina and Andreas were looking for new sounds in the different rooms and they found little treasures, even an old broken guitar. Meanwhile Evgenia was taking pictures of all details that could let us imagine the life the scientists had made themselves there. In many ways, the house let us know that they seemed to have been happy on Zhokov. After 2 hours we took the chopper back to the boat and sailed back to the island of Jeannette. After dinner Marie and Evgenia presented us their art. On Friday our planned morning dive was cancelled due to large swells. However the conditions were quite good for going to Jeannette. Luc, Bertrand, Alexey and Eric were able to access the island and stay at the top of a plateau for a while, also exploring the alentours. They saw six polar bears that probably never saw ahuman being before. They are very well protected there by the geography of the island, yet they can go down to the sea and the ice to hunt. on the island there is an old geodesic benchmark probably dating from Soviet times based on its the amount of rust around it. Kesha, from the Ministry of Natural Resources of Yakutia helps Luc to climb to the top, that makes him the first foreigner to be at the highest point of this particular island. more generally, we are the first foreigners (non-Russian, non-Soviet) to ever stay foot on this island. Jeannette is named after De Long’s sponsor’s sister. it was discovered by De Long in 1881 and although the Jeannette’s crew at the time could not access it, they sure dreamt of being on it after so many months of drifting on the ice. It was a special moment for our team today. On each island we step on, Alexei Tikhonov and Eric Crubezy wander around in search of flora samples, rock formations, signs of animal or human presence, recent or ancient. Towards the end of our stay on the island, we were blessed with a spectacular sunset where Andreas and Zarina sang with a beautiful red sky as their backdrop. Tomorrow we will be sailing to Vilkitsky, with the hope of seeing walruses and hopefully swim with them! A day at the beach on Vilkitsky island, East Siberian Sea: Sun, Sea, Waves, Yacht... what else?